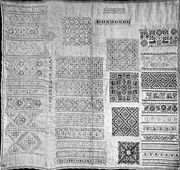 Silk embroidered sampler. 1677. Probably Germany. a sampler of ythe 18th century. The style is very different from the English one. Netherland or Germany. German sampler ( probably south Germany) End of the 17th century. Silk embroidery on a linen ground. 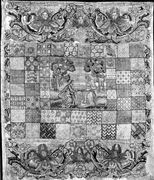 German sampler, end of the 18th century. Very typical of the German style with a horizontal line structure. A sampler from Switzerland, 1710, St Gallen Museum. 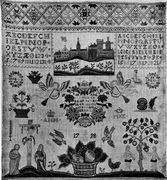 a charming sampler made in 1775 in Flanders.